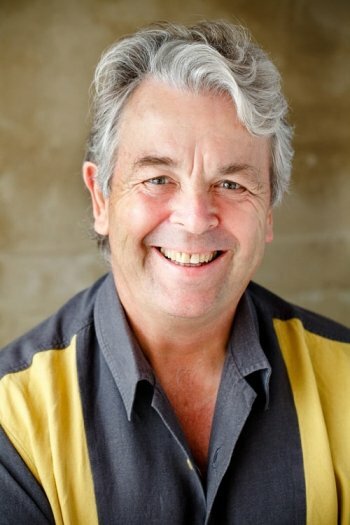 Richard made guitars and co-founded a community in Golden Bay before returning to Auckland in the late 1970s and working in engineering, manufacturing, marketing and corporate IT (NCR & IBM) as he raised a family. He has been married to Ruth for over 33 years and has four grown children and four grandchildren. He chose to become a corporate refugee when he picked up the reins as CEO of Big Buddy in late 2002. Back then it was a fledgling, West Auckland social agency, struggling to meet its vision of matching good male mentors with fatherless boys. Blending his life long interest in psychology with his management, corporate IT and sales skills, he set about building Big Buddy into a nation-wide social agency. Richard focused on building a sustainable funding base before setting about creating a rigorous, world-renowned psychological screening process, to identify child abusers, and CRM database that could support robust mentoring matches. Big Buddy has since matched over 750 boys with mentors and is poised for more growth. Confident of its future, Richard left Big Buddy in August 2017 to pursue his passion for supporting non-profits to be the best organisations they can be. Aston Kerr was born! Richard has been on school boards, sat on central and local government panels and is currently chair of Consumer New Zealand. He is passionate about social issues – particularly fathering – and the simple power of people helping each other to solve those issues. Ruth has a background in journalism, documentary research, editing, public relations and writing – the broad area of publishing. She managed communications at Big Buddy for 15 years – both voluntarily and on contract. Ruth had the privilege of being a hospice biographer and has written and managed a number of personal and institutional biographies. She was managing editor of West – The History of Waitakere [Random House, 2009] and co-authored – with Richard – Our Boys – Raising strong, happy sons from boyhood to manhood [Allen & Unwin, 2016] [Book page link]. Ruth had one child when she partnered with Richard and his two young children in the early 1980s. They embarked on the blended family roller-coaster before having a child together. Ruth is actively involved with her four children and four grandchildren. Passionate about social issues – particularly family violence – she has served on the board of teen parent non-profit Thrive and has been involved in fundraising for other social agencies. Her strengths are in interviewing and writing. "I have known Richard for more than 10 years. Professionally we worked together when he was the CEO of Big Buddy and I was a Trustee then Chair. Richard took a small (one person) mentoring programme and grew it nationally into one of NZ's most respected charities. As a Director of private companies, I have never experienced such professional systems, financial reports and board papers as those created by Richard. The incoming CEO of Big Buddy commented that he received the most thorough and professional handover in all of his career (corporate). Richard has a gift for sensing the culture of an organisation. He then has the experience and skills required to change the culture to create a harmonious and high performing organisation. Richard is incredibly observant and can rise above 'the little', to see 'the big'. He is both courageous and compassionate when dealing with people and volunteers in the not-for-profit area. Engaging Richard to support your organisation will give you peace of mind." “I have worked with Ruth (in media) and Richard (as a Big Buddy trustee for 15 years) and have huge respect for their integrity, passion and ability to connect with people from all manner of backgrounds and with a wide range of interests. The growth and success of Big Buddy would not have happened without Richard as CEO and Ruth has a rare ability to tell human stories that connect with audiences. "When it comes to business and social growth, I am confident AstonKerr Ltd will support people to ensure they are the best they can be. Having worked with Ruth and Richard, I have confidence in them as credible mentors. This confidence would allow me to discuss any business situation with them, towards learning how to strategize for winning outcomes." 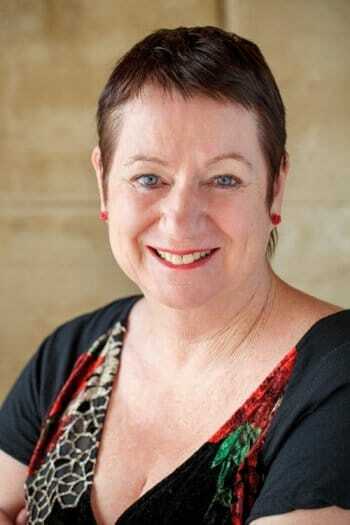 "I have worked with Richard as first board member, then chair, of Consumer NZ for more than six years. As a CEO I have found him to be interested, supportive and challenging. He likes to turn conventional thinking on its head, but at the same time appreciates the wisdom of people working in their fields of expertise. I have found he works collaboratively with the executive team and the board. That’s not always easy when there are competing views of which direction an organisation should be heading. Richard is not afraid of taking tough decisions. He will back a CEO who wants to push the boundaries and comes to him with solid evidence and sound financial modelling. "I have worked with Richard in my capacity as a trustee of the Big Buddy Foundation. He impressed me with his general professionalism and his no crap authentic approach to strategic issues. He has a great ability to cut through the clutter and get to the essence. It was a pleasure to work with him"
"Richard Aston and Ruth Kerr are wise and experienced mentors – and much more. They are innovative and creative thought leaders to our sector and between them have the resources to support you to grow, develop and re-imagine your organisation. "